The results of the Men's FIH Champions Trophy saw Australia win, with India taking second place and Germany third. While in the Women's event Argentina took a first place victory making it a record seventh Champion's Trophy win for them. The Netherlands took second place and the USA making up the final medal position. The tournament saw some amazing hockey played by all involved and we like you, can't wait for the next action packed tournament. 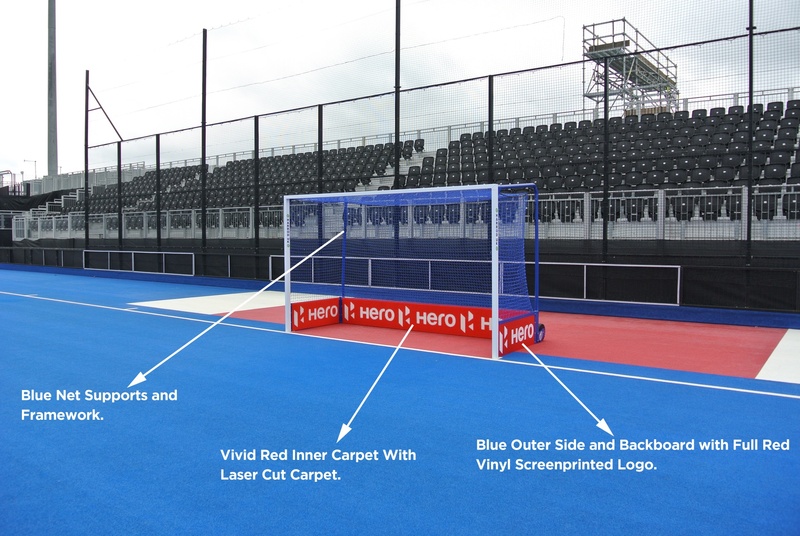 The FIH Champions Trophy saw the fully branded 'Hero' goal used in the UK for the first time. The goal was a unique two tone in colour as demonstrated in the image below. Both England Hockey and the team at Harrod UK were delighted with the result and appearance of the goal as it complimented the colour tones of Lee Valley exceptionally well. The men's FIH Champions Trophy was sponsored by the Indian motor bike brand hero, whilst the women's event due to a last minute change of location didn't this time have a headline sponsor. This meant the Harrod UK team faced the challenge of converting the goals in just a few hours, to have the goals ready for the ladies to play. 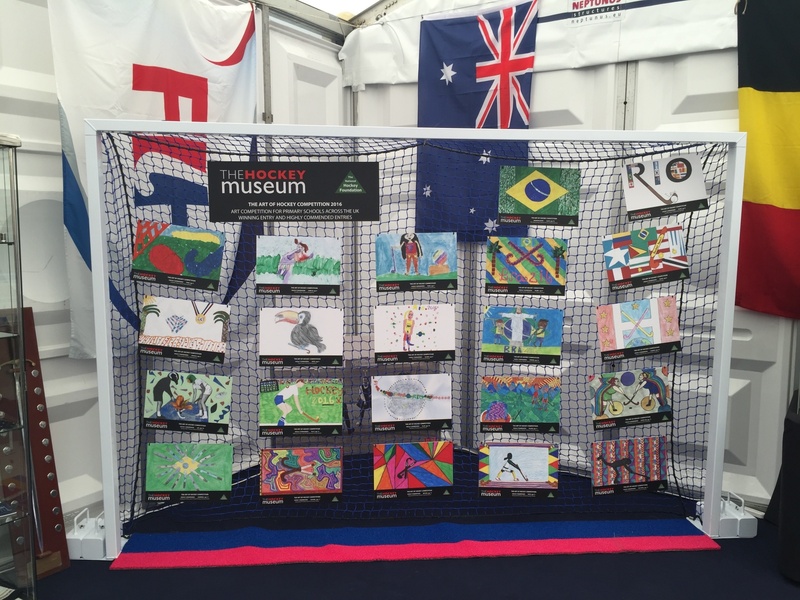 Aside from the match goals, pitch equipment and warm up goals, Harrod UK were also called upon to provide a solution to the Hockey Museum. The challenge was to provide a 'Hockey Goal' backdrop to display entries from a recent schools competition. In its own way having the opportunity of putting something back into hockey and promoting the game to the future generations is just as pleasing. Photo Credit Above: Jon Rye, The Hockey Museum. We would also like to say a big thank you to all of the hockey makers who volunteered their time and put in hours of selfless work behind the scenes to ensure the teams and all fans experienced a truly amazing event!